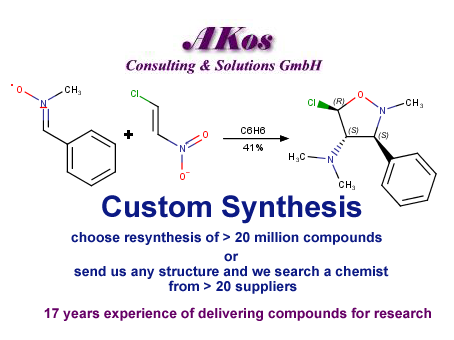 The AKosS GmbH custom synthesis service is able to rapidly tender requests across its growing network of chemistry laboratories to provide research molecules not otherwise available. Delivery time: 6 million samples are on stock and can be delivered in days, guaranteed less than 2 weeks after we have received your order. Even if the compounds are on stock it takes some time to get them through custom procedures, which are sometimes time consuming. This is the reason that it takes sometimes two weeks. We have 18 years of experience of supplying research molecules, building blocks and screening samples. AKos GmbH has the knowledge, experience and systems to take care of the complexities of sourcing research molecules for you. AKos GmbH has built the trust of hundreds of customers, from multinational pharmaceutical companies to contract and university research labs across the globe. we’ve received all 3 shipments for this request. Thanks very much for your help with the process. Your system is thorough and efficient, and your communication on order status is very clear. I wanted to let you know that you’re appreciated! 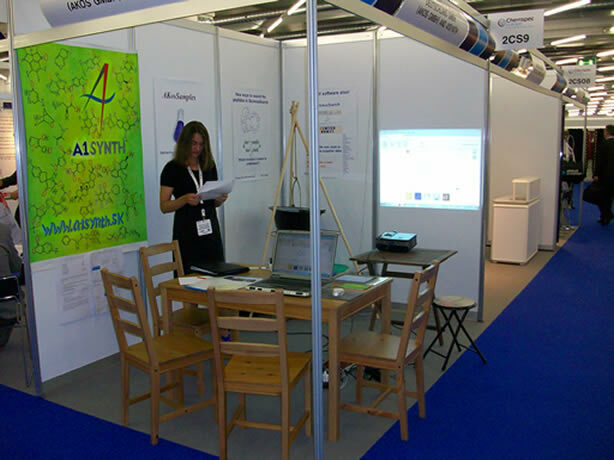 Digital Science Co. Ltd. represents non-exclusively AKos GmbH in Korea for istributing chemical compounds from AKosSamples.